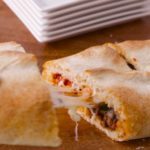 Philly cheese steak fans, this one is for you! 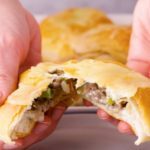 Just when you thought the classic sandwich couldn’t get any better, we stuffed all of the best Philly cheese steak ingredients inside flaky, buttery biscuits for a winning dish that can double as dinner or party appetizer! 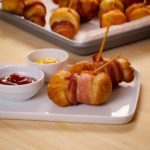 Made with only six ingredients, it’s super easy to throw together, whatever the occasion. Heat oven to 350°F. Line large cookie sheet with cooking parchment paper, or spray with cooking spray. In 10-inch skillet, cook beef, onion, bell pepper and seasoning over medium-high heat 5 to 7 minutes, stirring occasionally, until beef is brown; drain. Remove from heat. Stir in 1 cup of the cheese until cheese is melted. Separate dough into 8 biscuits; let stand 5 minutes. 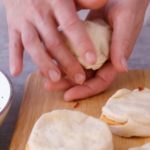 Gently pull each biscuit apart, leaving bottom and lower sides intact, forming a deep pocket. Holding opened biscuit in hand, place about ¼ cup beef mixture inside, pressing inside to fit. 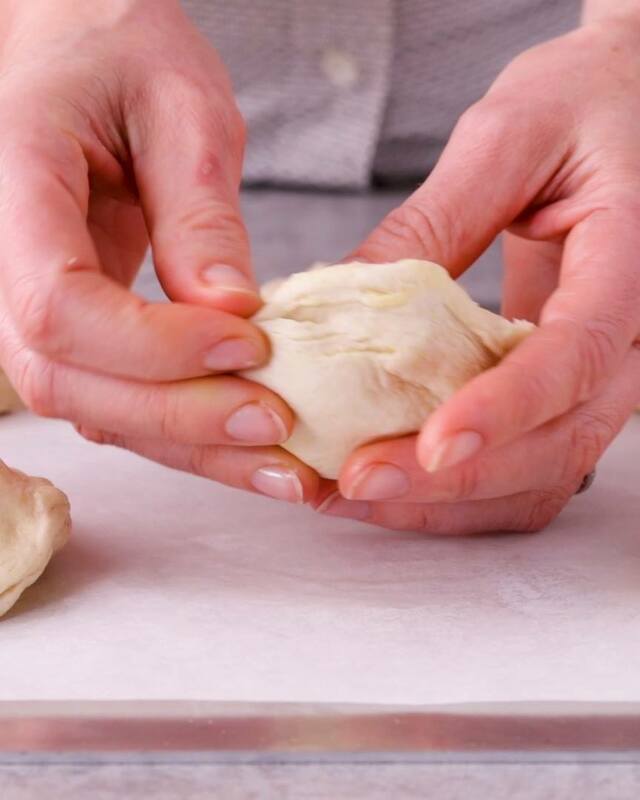 Gently stretch dough over filling, pressing and firmly sealing around edges of biscuit. Reshape into round, and place on cookie sheet. (Biscuits will be full.) Repeat for remaining biscuits. Bake 18 to 20 minutes or until biscuit tops are golden brown. Remove from oven; sprinkle tops with remaining cheese. Return to oven 2 to 3 minutes or until cheese is melted.